Mission: For First UMC of Mt. Holly, three main ministries are paving the way for apostolic leadership in the church and the community. Last year the church hosted its first ever “Family, Friends & Neighbors” day with an outdoor worship service, live band, clown ministry, face painting, food from The Feed Truck, community vendors, kids crafts, and more. Leading up to the event, the church launches a “Good Neighbor Campaign” which encourages the congregation to reach out to the neighboring community as well as the congregants own residential neighbors. Ultimately, the event seeks to celebrate what it means to truly love ones neighbor. Through a college ministry grant, First UMC of Mt. Holly is hiring a second summer college ministry intern to direct the church’s Kids Art Camp. The camp uses mediums of painting, theater, literary arts, music, and culinary arts to meet a need in the Mt. Holly community: low-cost camping experiences that connect kids to Christ, one another, and their neighborhood. This year, First UMC will be adding a gardening component to celebrate that God invites people into the artistry of creation wherever they go. This annual program provides a college student with an incredible experience and the kids with a week they’ll never forget. Every Wednesday from 6:30 – 8:00 p.m., First UMC of Mt. Holly hosts ‘Hungry For More.’ Centered around community outreach, story-telling, and breaking bread together, the weekly tradition began because the church believed the community was not only “hungry for more” food, but also for what life has to offer. Each week, a few individuals are invited to share a story that connects the topic of the night to their lives. The first series was about the fruit of the spirit and each week focused on a different quality: love, joy, peace, etc. By identifying where they saw those qualities in their lives through the art of story, the group began to connect faith to their everyday living. ‘Hungry For More’ has had as many as 22 people attend, many of whom don’t regularly attend Sunday worship service. Apostle: Rev. 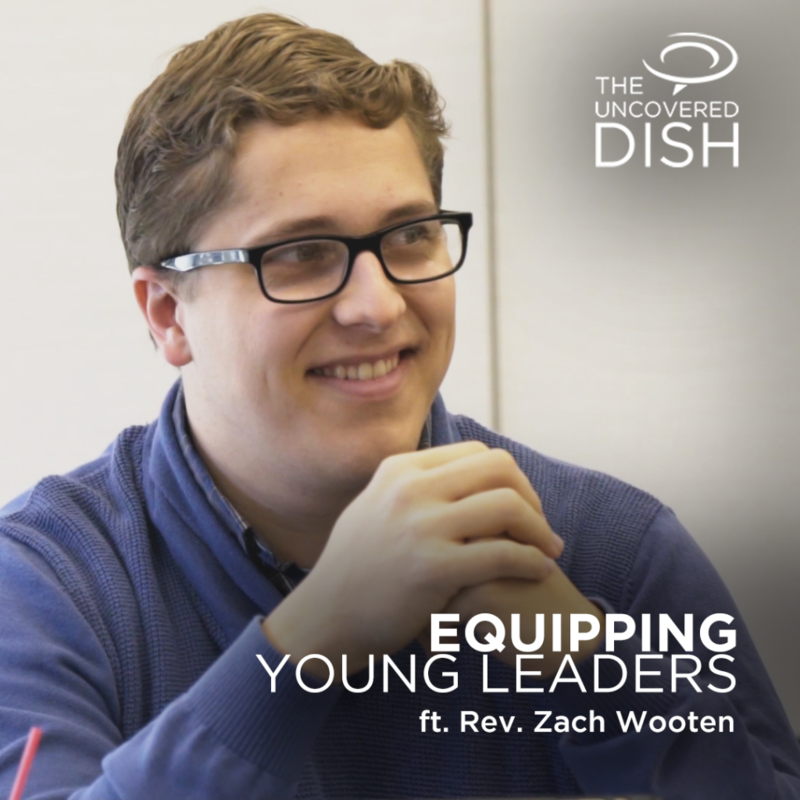 Zach Wooten grew up in York, Pa. He graduated from the Honors College at West Chester University of Pennsylvania with a B.A. in Communication Studies. During his time at college he spent a summer as the Children’s Ministry Intern at the Presbyterian Church of Falling Spring in Chambersburg, Pa. Hungry to do more ministry, he served as the Director of Youth Ministries at the Baptist Church of West Chester for two years. It wasn’t long until he felt a call to seminary and “jumped at the chance” to learn from Trey Wince, Director of New Disciples, and serve within GNJ through Mosaic Ministries. Wooten has served as a co-pastor alongside Rev. Donald Kirschner at the First UMC of Mt. Holly since July 2015 and will graduate from Princeton Theological Seminary in May, 2017.